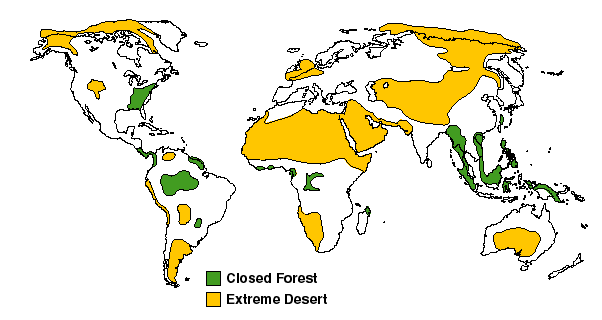 Note the boxes on the bottom which document the geological epochs: Paleocene, Eocene, Oligocene, Miocene, Pliocene, and Pleistocene. 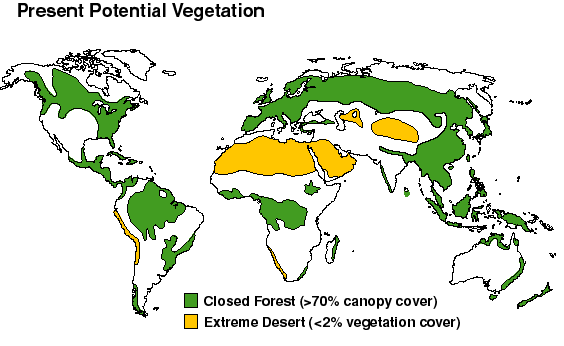 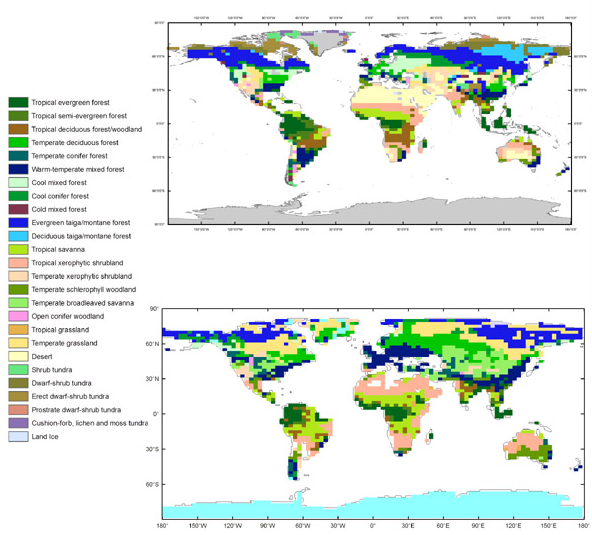 The oldest vegetation map I've found is for the Miocene - an era warmer than either the Pliocene or Pleistocene since. 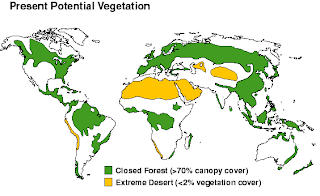 The map is from here and it's highly recommended to read the article at the link for a flavor of the Herculean scientific labors that are involved in constructing a map like this. So the Miocene seems to have been both warmer and wetter than the Pliocene. 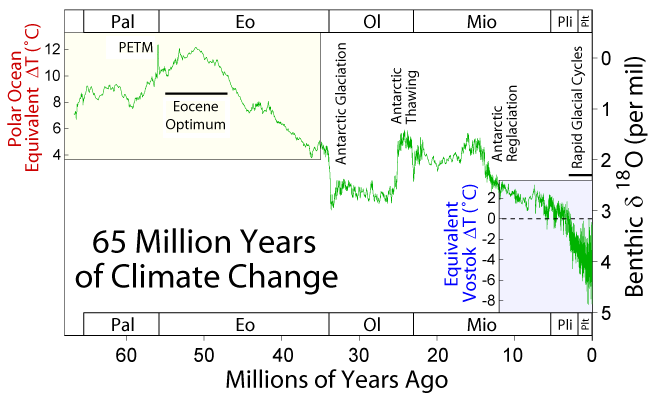 This next temperature graph shows the last 5.5 million years of estimated temperature history based on sediment cores. It would appear that it didn't take all that large a temperature increase to cause a weaker Hadley cell and result in far less desert at mid-latitudes. 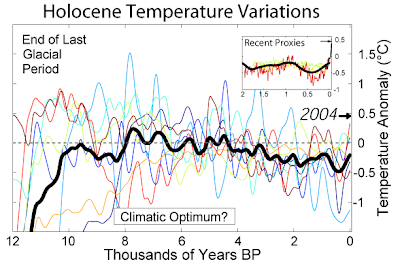 and note that the temperature is only changing by about 0.1oC - 0.2oC in a millenium. 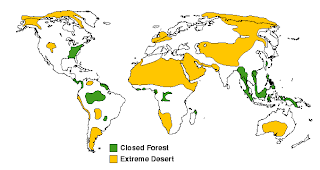 This is in contrast to the modern rate of about 1.6oC/century. 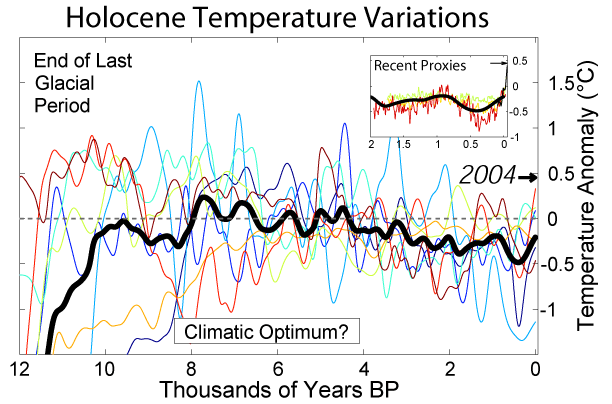 We are moving the climate about two orders of magnitude faster than pre-industrial holocene change. 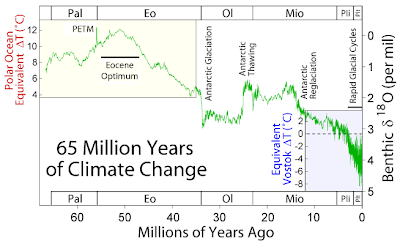 In particular, with a turnover time of around a thousand years, the ocean in the mid-Holocene optimum was presumably far closer to equilibrium with the rest of the climate system than it is in the twenty-first century. 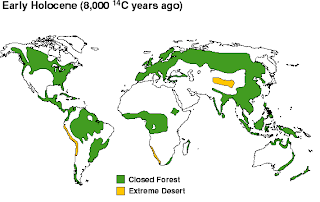 Your website is very interesting, I wonder if: ¿Do you have the reference of the Miocene´s climate conditions map?